Febbiante Kore: What Will She Grow Up To Be? Next month we'll visit Indonesia, an archipelago of over 18,000 islands with quite an interesting amalgam of peoples, religions, and languages. It's been almost 30 years since we last visited. And since we met Febbiante. Indonesia's main islands of Java and Sumatra are home to 80% of the nation’s 263+ million people. They are mainly Muslim. The small island of Bali contains a mainly Hindu population, and several eastern islands are predominantly Christian. 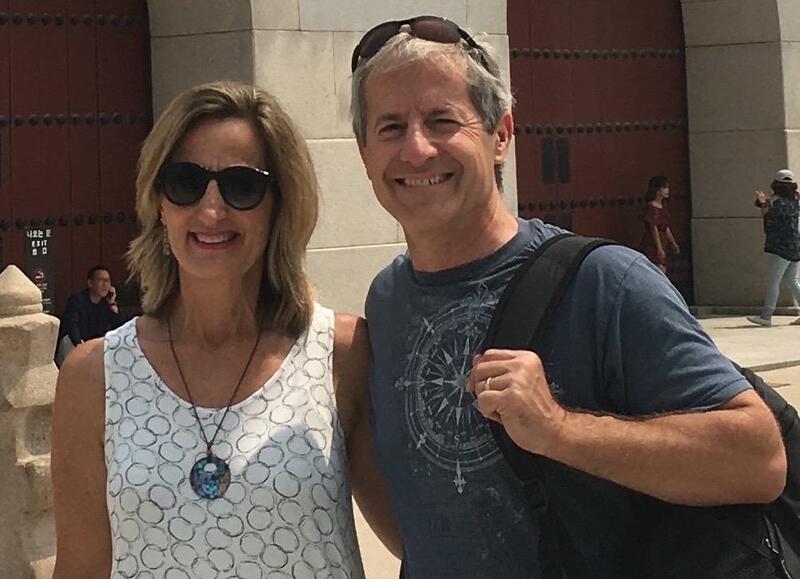 Many years ago, on the island of Timor, our friend, Pastor Eli, established a kindergarten. The funds came through donations from Christian churches in America. We had discovered that it was difficult for children in West Timor to enter the free public education system because the prerequisites for starting 1st grade included having attended kindergarten and having money for uniforms and school supplies. Many of the very poor children of Timor could not afford to go to kindergarten. As a result, they often fell into a life without any education. Pastor Eli decided to do something about this. We met him when he visited our church in Palo Alto, California. He described for us how a child could be supported for USD $10 per month. He had set up a kindergarten to allow them to enter the free public education system. This would allow them to make something of their lives. 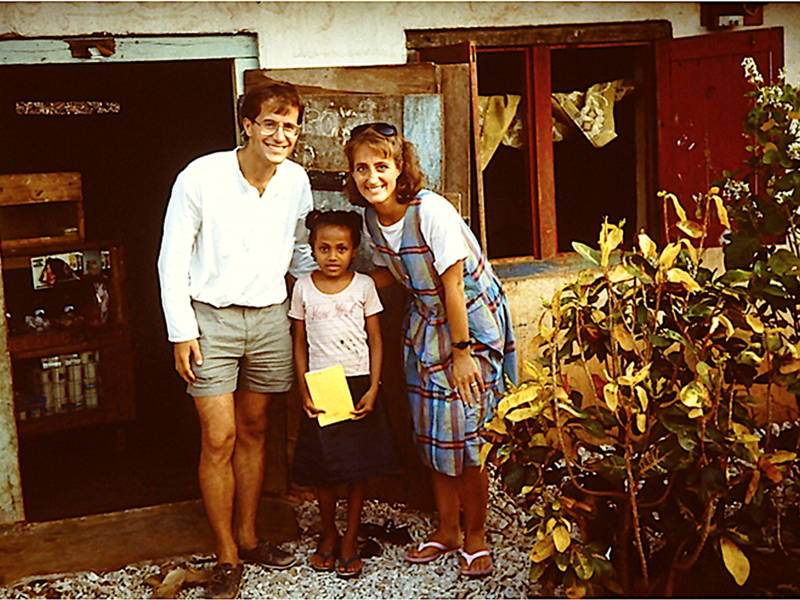 At that time, we decided to support one child and were given the name of a five-year-old girl named Febbiante Kore. During our two years in Japan, we had faithfully sent in our $10/month, and now we found ourselves flying Garuda Airlines into a tiny airport in the West Timor town of Kupang. Timor is very poor, and, as members of American middle class society, we were shocked at the indigence around us. Most of the homes in this outskirt community of Kupang did not have electricity and were made of cinder block walls with dirt floors. Only the best homes had plumbing of any kind. Indeed, most of the population depended on water drawn from a well at 5 a.m. before the heat of the day set in. Families did not have cars, televisions, radios, or any kind of home appliances. Some families cooked on wood fires, and some had barbecue-like pits where they cooked their food. The food itself was minimal. The staple food was rice, but some families couldn’t afford rice. So they mainly ate a type of pressed soybean called tempeh. Besides the staple food, we ate some kinds of greens grown in home gardens and then occasionally some fish or chicken. Once or twice we had the opportunity to eat the rare delicacy of octopus (including the ink). We met Febbiante at her house, a one-room cinderblock home without glass windows or even a door. Her mother was nursing an infant, and her father was just coming in from a fishing expedition. She also had two older siblings who shared the tiny living space. Febbiante cheerfully greeted us with the respectful “Apa kabar, Bapak Dale and Caroline!” She then continued to play in the yard. Her parents, although unable to communicate in English, expressed their appreciation for helping their daughter. What we had considered to be a tiny $10 a month was actually supporting the whole family! We discovered this when Pastor Eli told us that we could attend the monthly distribution of donor funds. We thought we would see a group of children receiving school supplies and uniforms. But, as we approached the distribution, we saw entire families gathering. Each family received a 10 kilogram bag of rice, a jug of cooking oil, several types of canned food. This was on top of school supplies and uniforms. Our $10/month was supplying much more than school supplies and fees! Through this situation, we came to understand how easily Americans can bless people from developing countries. Even now, our money goes so much further in Indonesia than it does in the U.S. Indeed, it's now possible to support a variety of worthy causes and make a significant impact even with minimal funds. What charities do you support? Have you considered giving to causes in a developing country in order to make your money go further?